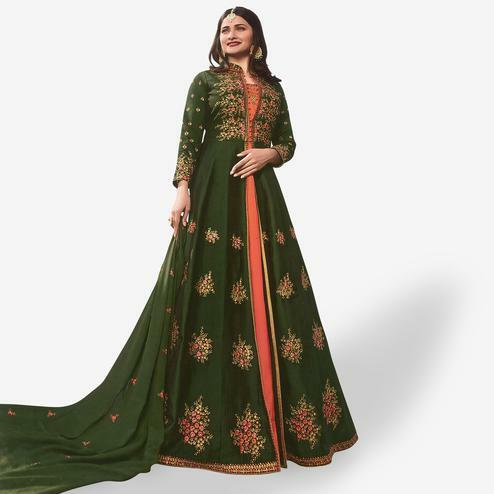 Display your beauty with simplicity & grace in this graceful green faux georgette anarkali suit showcased by Gauhar Khan. This beautiful designer suit is prettified with stylised cuts and pattern with floral embroidery and flair which makes it appear classy. 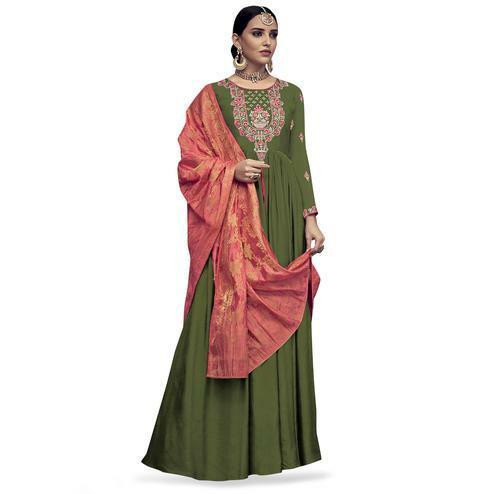 Available with dull santoon lining and bottom along with chiffon dupatta with embroidered lace border. 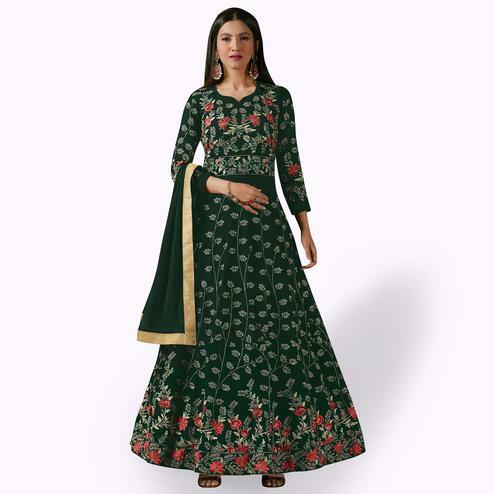 Women can buy this ethnic dress to wear for their upcoming functions and occasions. Team it with stylish accessories to make your looks more beautiful.